Price war? What price war? Good full-year results from the UK supermarket group counter the view that competition is crushing British grocers’ profits. Sainsbury’s outgoing CEO Justin King is upbeat on the outlook too. The risk is its pain is being postponed rather than avoided. 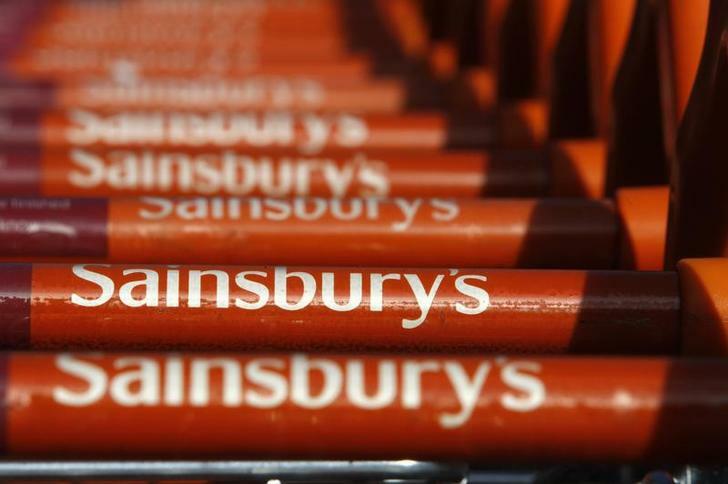 J Sainsbury, the UK supermarket, lifted underlying pretax profit 5.3 percent in the year to March 15. It made 798 million pounds, up from 758 million pounds. Sales rose 2.8 percent to 26.4 billion pounds. Justin King, the chief executive, said on May 7 that the group was confident it would outperform its peers in the year ahead. King will be succeeded by Mike Coupe, currently Sainsbury’s commercial director, in July. Shares fell 7 pence, or 2.5 percent, to 325 pence by 1200 BST.